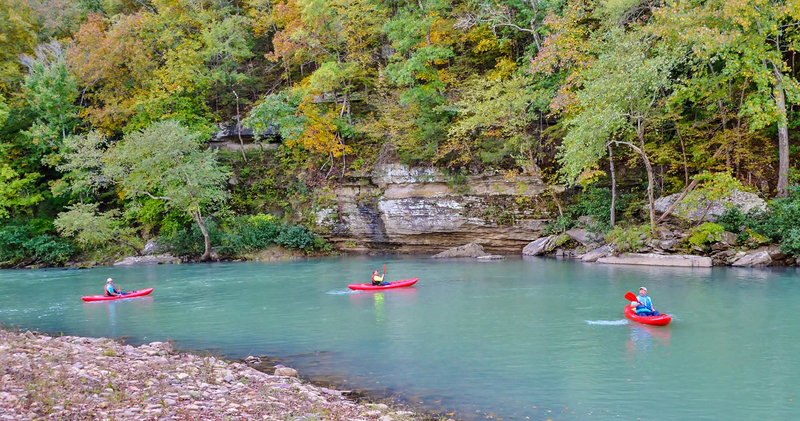 Bordering one of the longest rivers in the world, Arkansas’s newest state park is a life-changing trip for hiking and camping enthusiasts alike. With more than 100-miles of trails, Mississippi River State Park is a hidden gem. 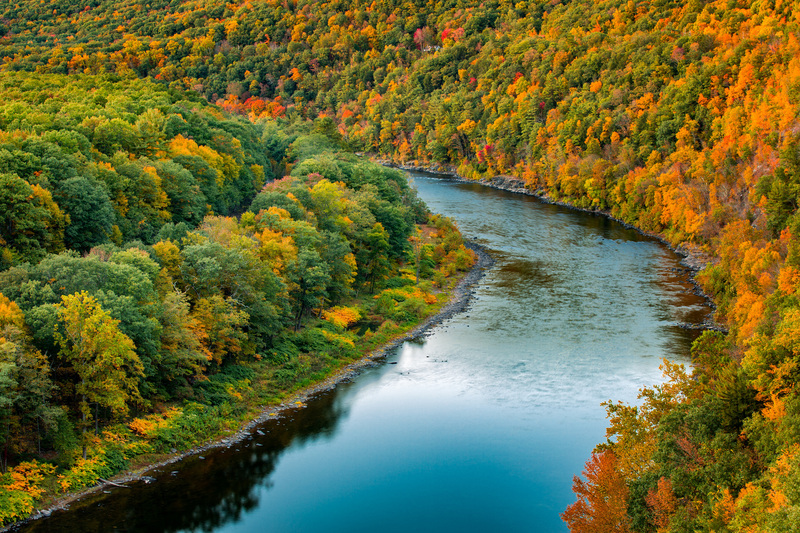 For nearly a century, thousands of visitors have sought out the dramatic riverways, spellbinding wildlife, and delicate ecosystems on display along this 2,320-mile river. Discover an important part of American history, including early 16th-century exploration, transportation during the civil war and a massive boon to power during the 20th century while making unforgettable memories with family and friends. 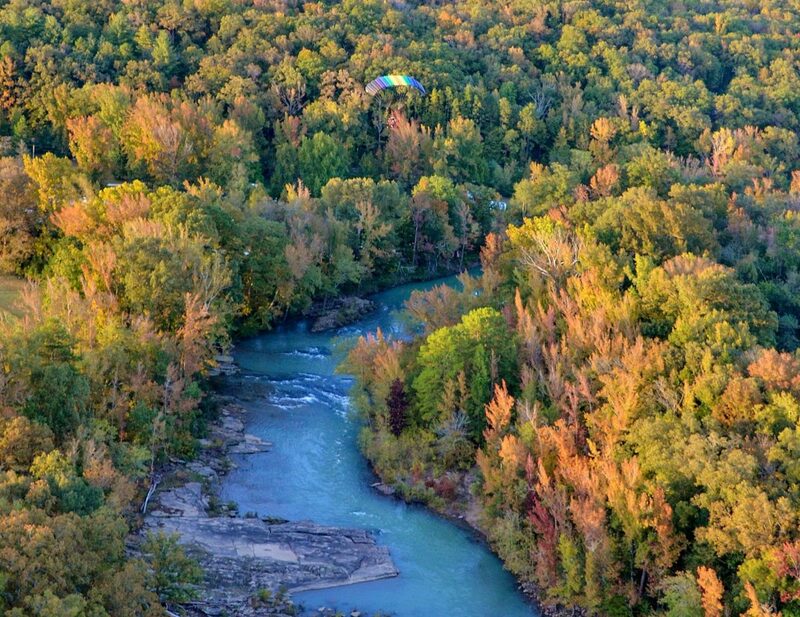 Through a special use permit from the U.S. Forest Service, Arkansas State Parks is developing Mississippi River State Park within the St. Francis National Forest in eastern Arkansas. 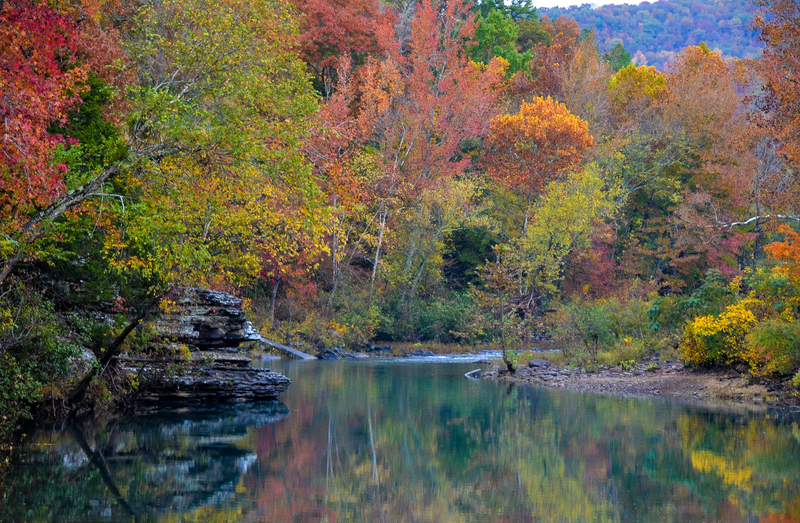 Arkansas’s newest state park, Mississippi River State Park, will eventually encompass 536 acres. The Great River Road winds through Mississippi River State Park and the St. Francis National Forest. This national scenic byway follows the Mississippi River for nearly 3,000 miles from its headwaters in the north woods of Minnesota to the Gulf of Mexico traveling through 10 states bordering the river. You can follow this road of discovery through diverse histories, cultures and landscapes. 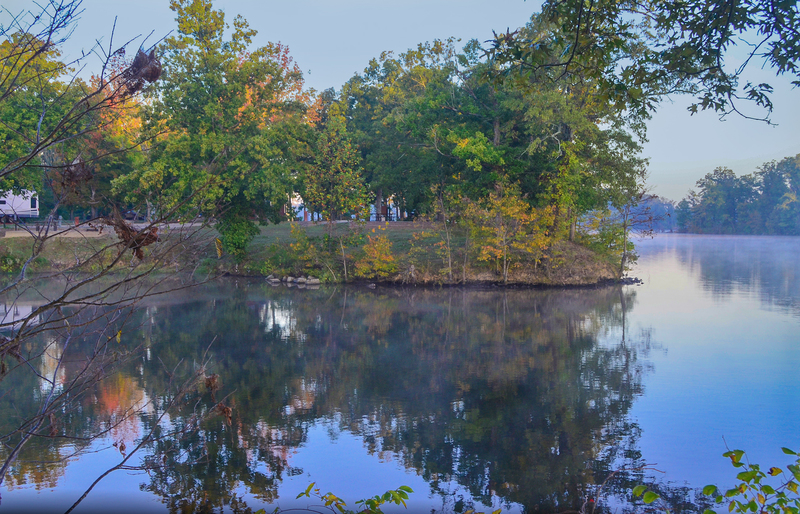 Bear Creek Lake is accessible from Mississippi River State Park. 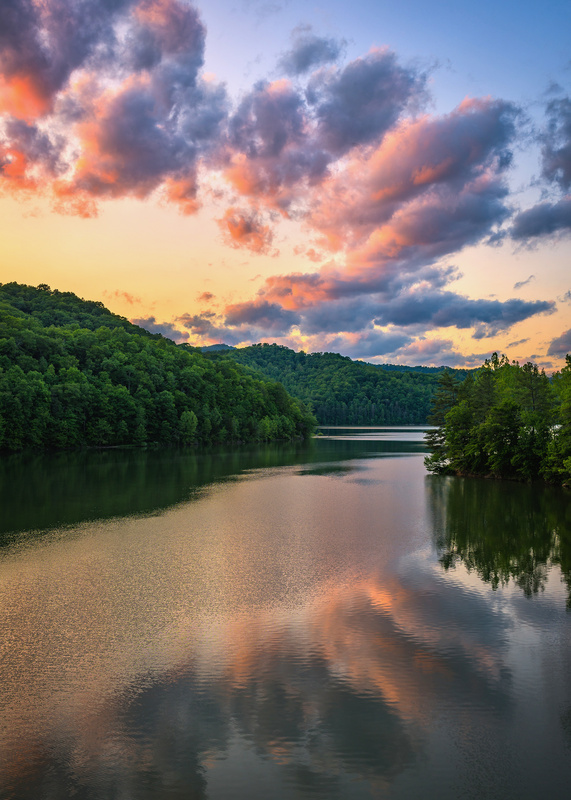 This 625-acre lake was constructed atop Crowley’s Ridge in 1938. Lying within the northern end of the St. Francis National Forest, this USDA Forest Service lake has more than 15 miles or shoreline. 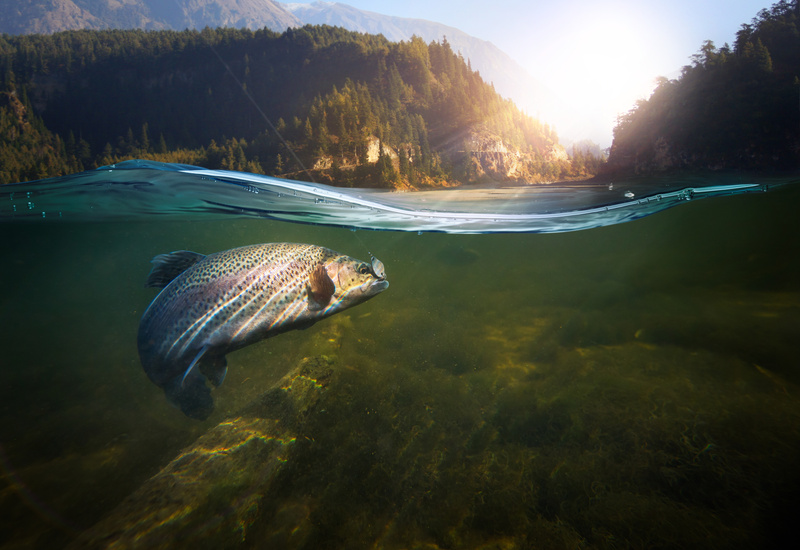 Anglers enjoy the lake fishing for largemouth bass, bluegill, red-ear sunfish, and catfish. Wildlife watching opportunities include white-tail deer, squirrel, raccoon, rabbit, wild turkey, and a wide variety of other birds. 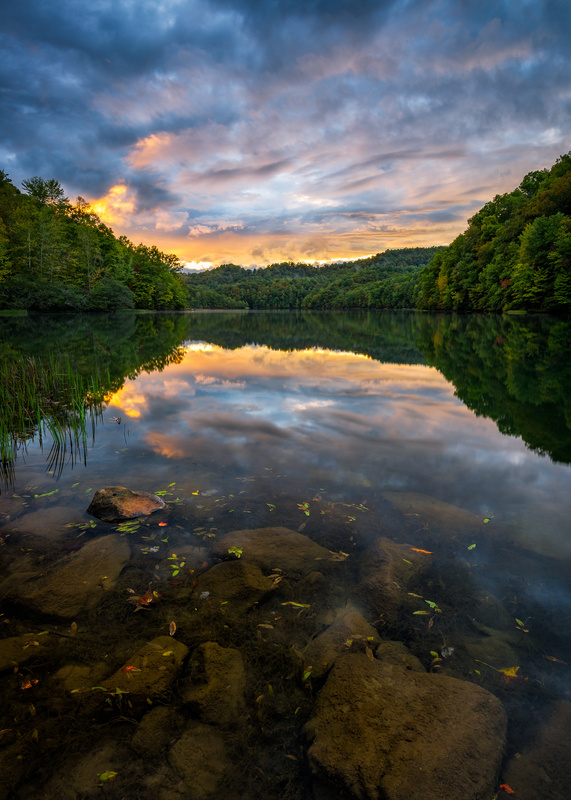 Two national scenic byways, the Great River Road and the Crowley’s Ridge Parkway, pass over the lake’s dam. 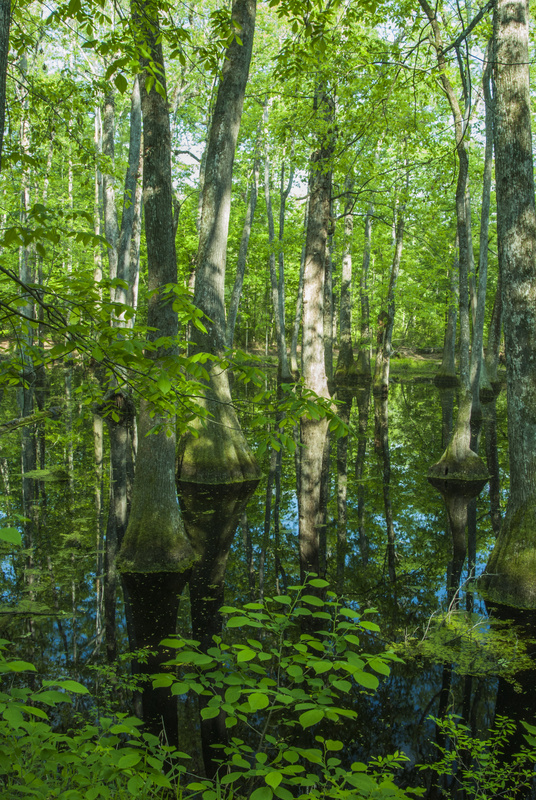 Beaver Pond Swamp is a part of the natural diversity to experience in the St. Francis National Forest. 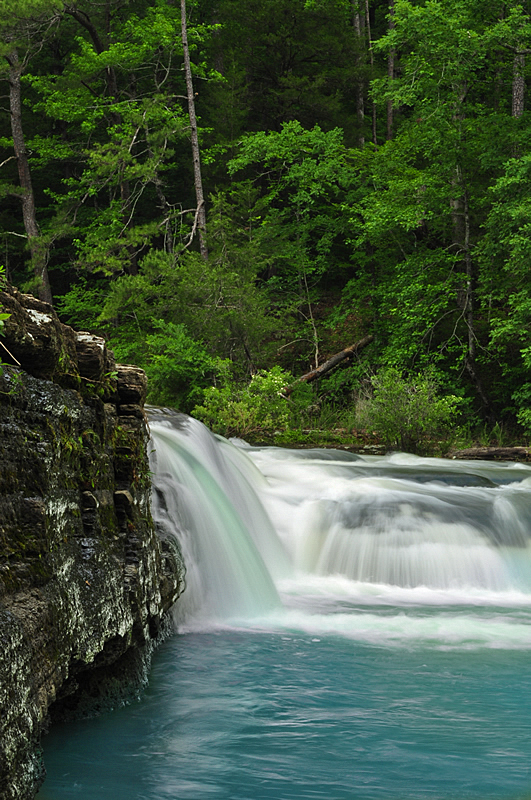 See this natural setting near where the St. Francis River flows into the Mississippi River. 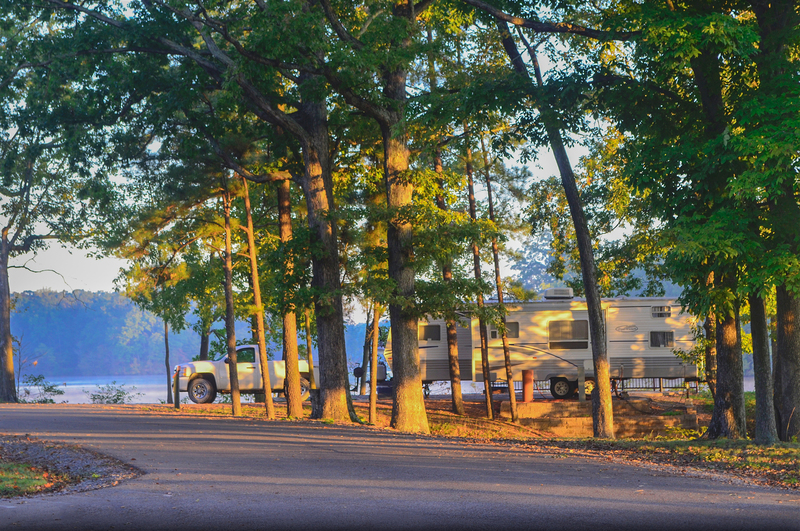 Beech Point Campground at Mississippi River State Park features 17 campsites on a peninsula in beautiful Bear Creek Lake. Each campsite offers a lake view. 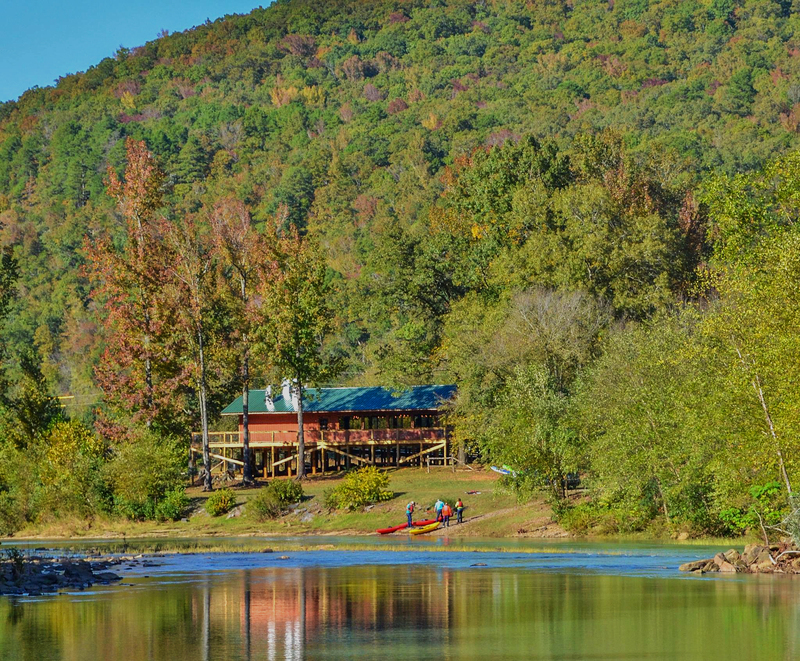 Two courtesy docks provide campers with additional access to the 625-acre lake. 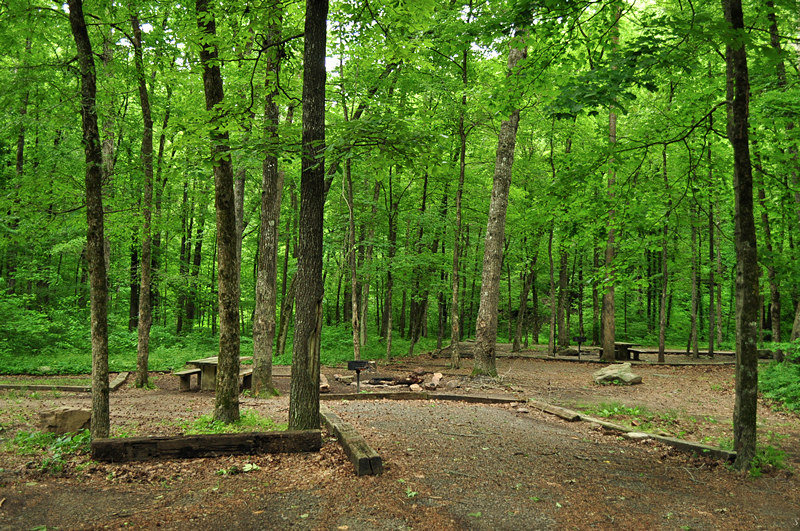 Tent pads are featured on campsites offering full hookups in the Beech Point Campground at Mississippi River State Park. In addition, tent camping enthusiasts can choose from three Walk-in Tent Sites without hookups. 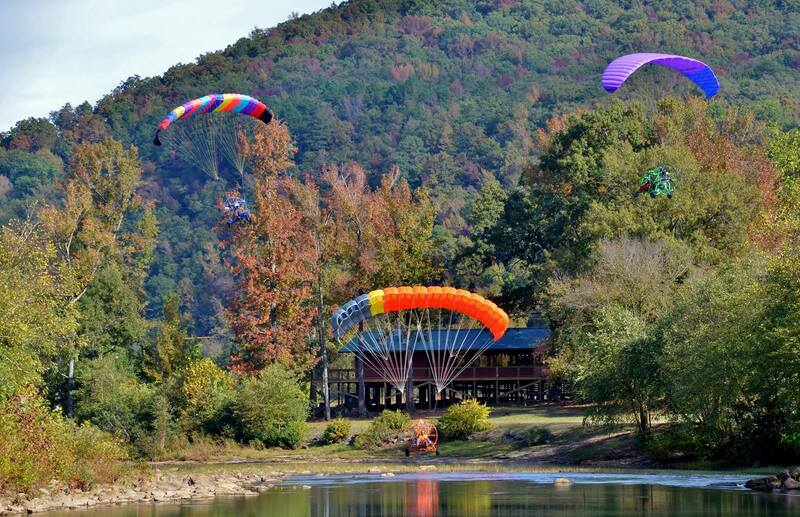 Bear Creek Lake is a peaceful setting to enjoy the seasonal beauty of Crowley’s Ridge. The unique hardwood forest atop Crowley’s Ridge is prime wildlife and birding habitat. The campsite rental fee is $32 per night. 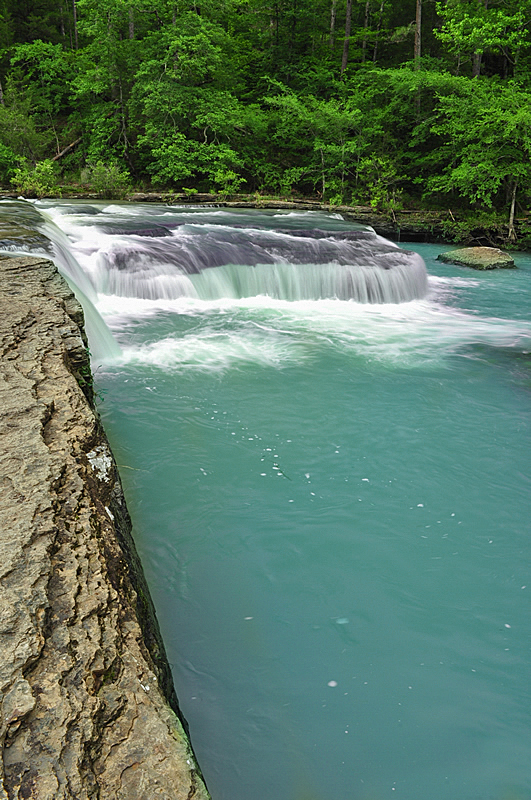 For details on the campground, visit: http://www.arkansasstateparks.com/news/for-media/display.aspx?id=1593. Nearby are a swim beach, hiking trail, fishing pier, boat ramp, and several picnic areas. Gardens are unique creations, reflecting not only the landscape, flora, and climate of their environments but also the heritage, the history, and cultures that made them. This spring, escape the hustle and bustle of busy life by exploring some of the region’s most beautiful gardens. Carved into the side of a bluff overlooking the Arkansas River is a hidden gem. Moss Mountain Farm, which The New York Times hails as a “stunning estate,” is an epicenter for promoting the local food movement, organic gardening and the preservation of heritage poultry breeds. Garden tours are also available for guests who are looking to learn more. While thousands of miles from the Isle de France, Mr. Smith’s implementation of the Ferme Ornée form at Moss Mountain similarly renders the guest experience as one of leisure, beauty, nature and wonder. 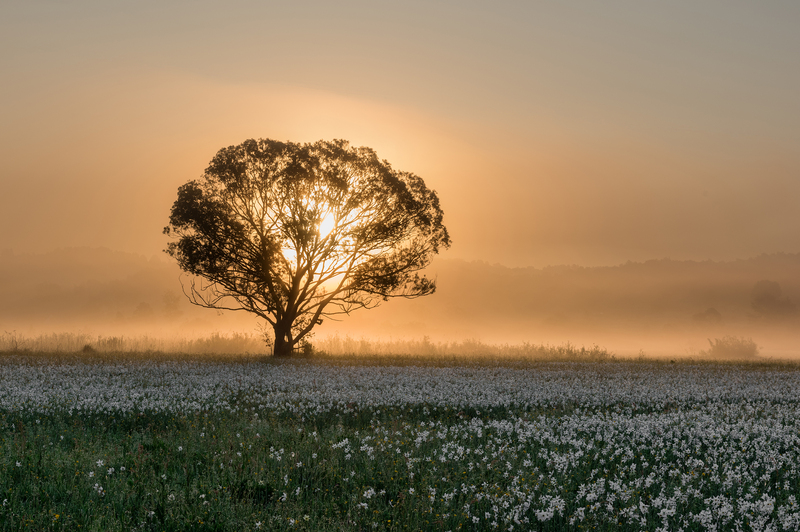 Above the rolling hills of the Natural State, herbs, vegetables, fruit trees, perennials, annuals, pastures, roses, and ancient trees comprise the landscape surrounding the visitor and are always within touch and view. This piece of paradise is a template for environmental sensitivity and was conceived from its genesis as an estate beyond the aesthetic. The Farm is also a living, teaching classroom for responsible gardeners and farmers from around the world. 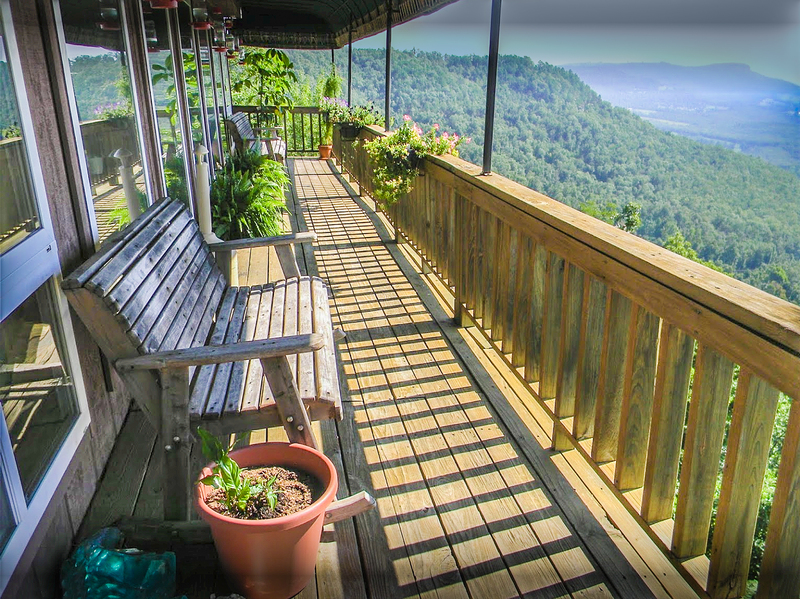 Moss Mountain Farm is home to important conservancies for rare roses and at-risk poultry. 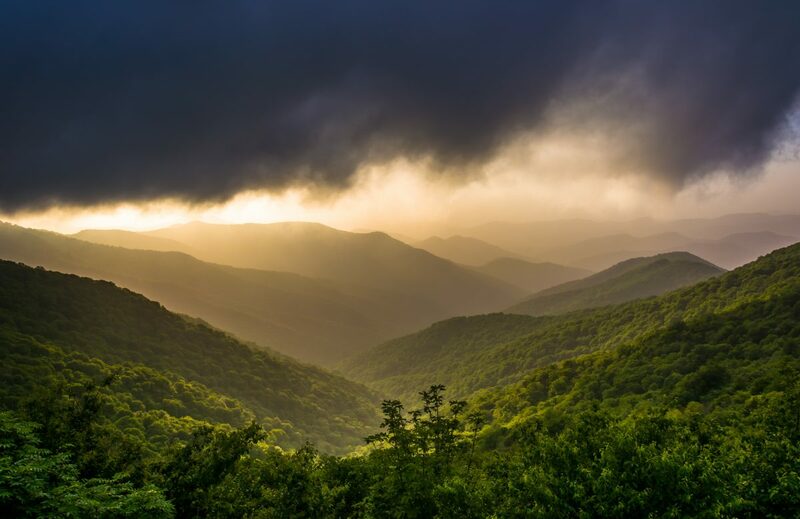 By choosing Moss Mountain, you assist us with our important conservation work and support our education programs for children, families, and preservationists. 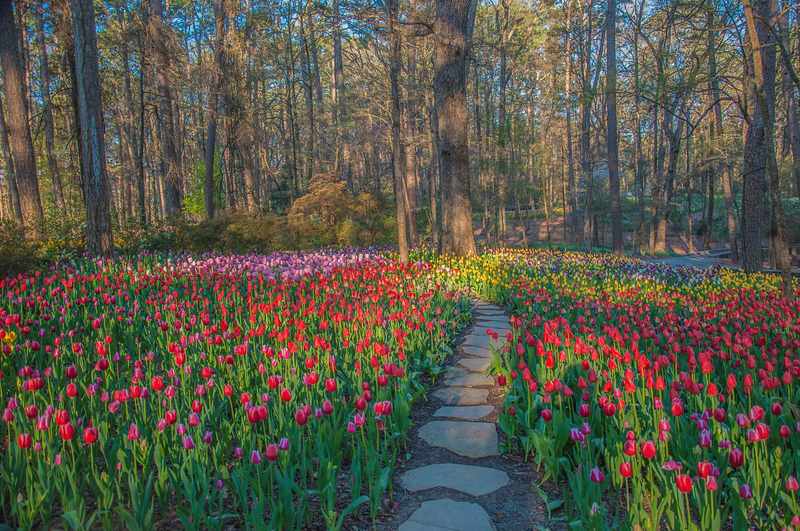 Nestled in the picturesque Ouachita Mountains of Southwest Arkansas, this 210 acre garden offers an impressive display and welcomes spring with true dramatic flair. 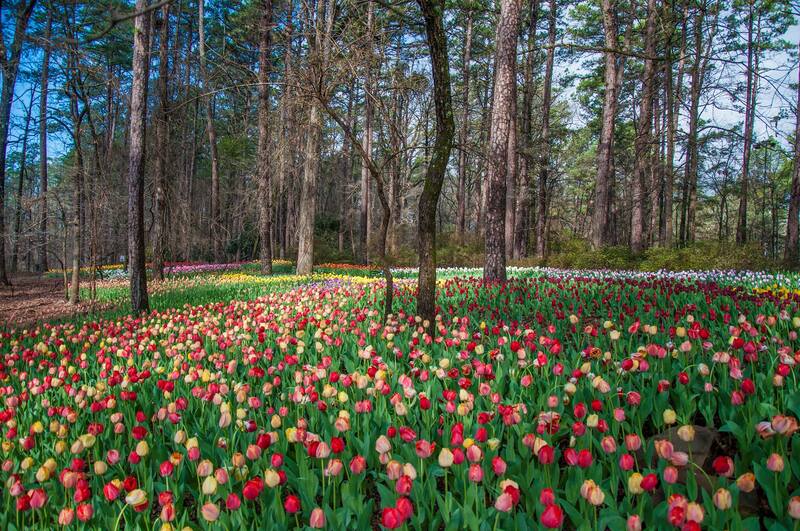 Garvan Woodland Gardens has a spectacular bulb meadow that is famed for its tulips. Guests not only enjoy an environmentally-responsible venue, they also enjoy their time at one of the most unique and picturesque properties in the region. 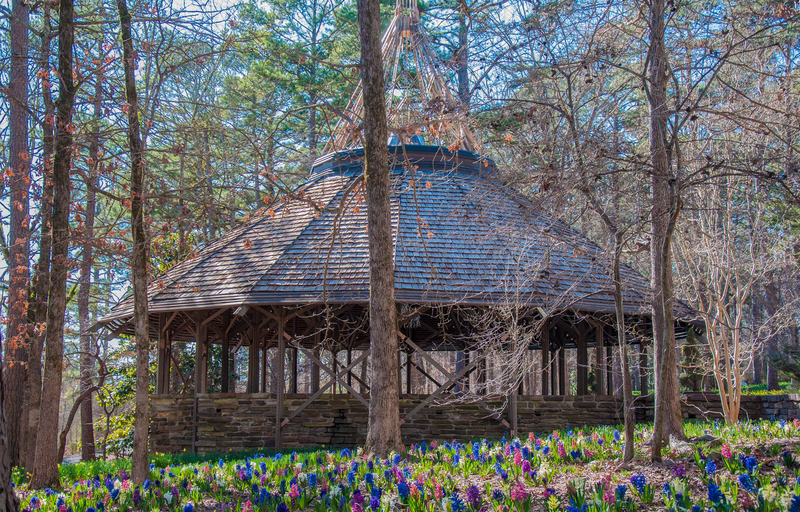 Named in honor of the Gardens’ benefactress, Verna Cook Garvan, the Garvan Pavilion stands as the centerpiece of the 210-acre botanical garden. The stunning open-air redwood and sandstone structure features a one-of-a-kind, faceted steel and glass ceiling centered around a classical oculus. This traditional ‘window in the ceiling’ serves as the focal point of a flower-like composition unfolding overhead. A wonderful complement to its woodland surroundings. 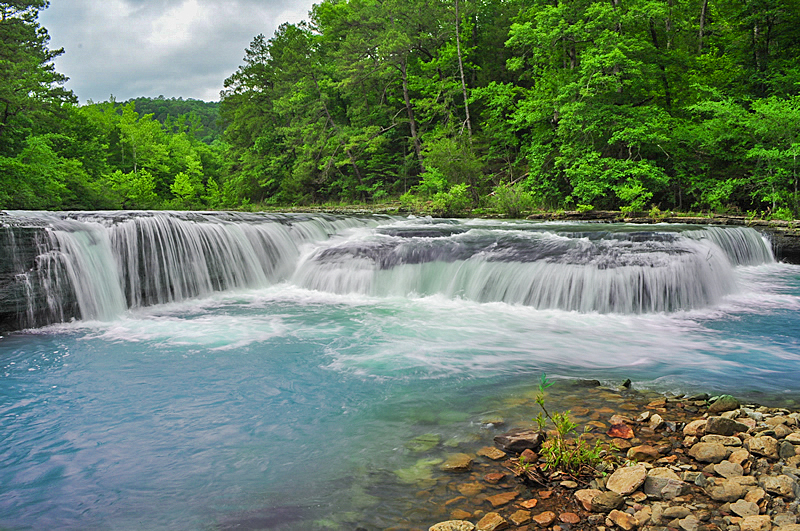 Nestled within the mountain valleys of Central Arkansas is a relaxing oasis filled with diverse plant life. 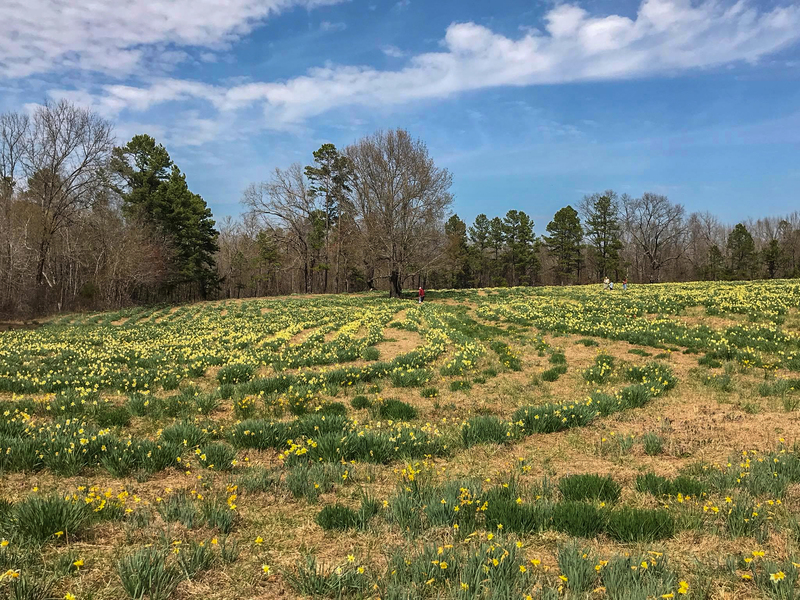 Wye Mountain Flowers and Berries is a picturesque 18 acre farm that produces nearly 40 different varieties of annual and perennial flowers including zinnias, daffodils, sunflowers, and lilies. 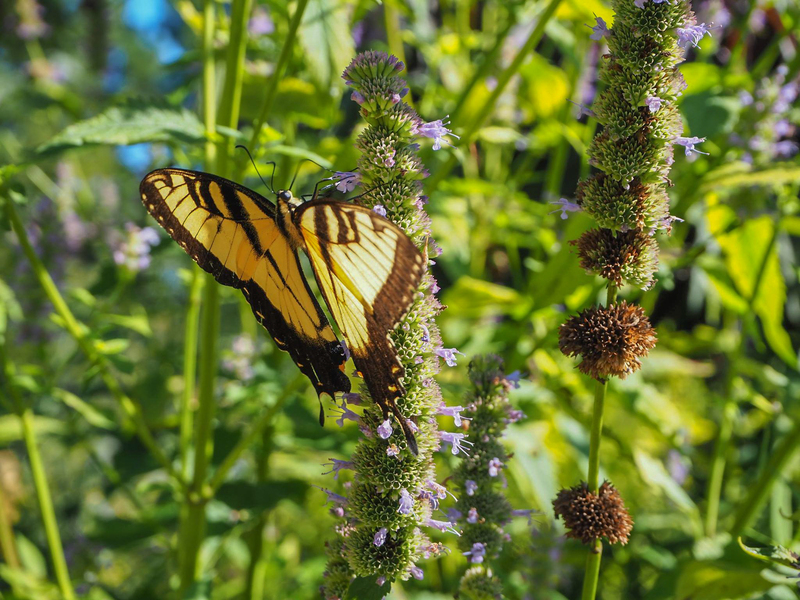 The Botanical Garden of the Ozarks features 12 themed gardens & Arkansas’ only butterfly house, with landscaped grounds where four seasons of native flora and fauna thrive. Check the calendar for events including free summer concerts, the popular Firefly Fling family festival, cocktail parties, adult classes, Little Sprouts educational programs & more! 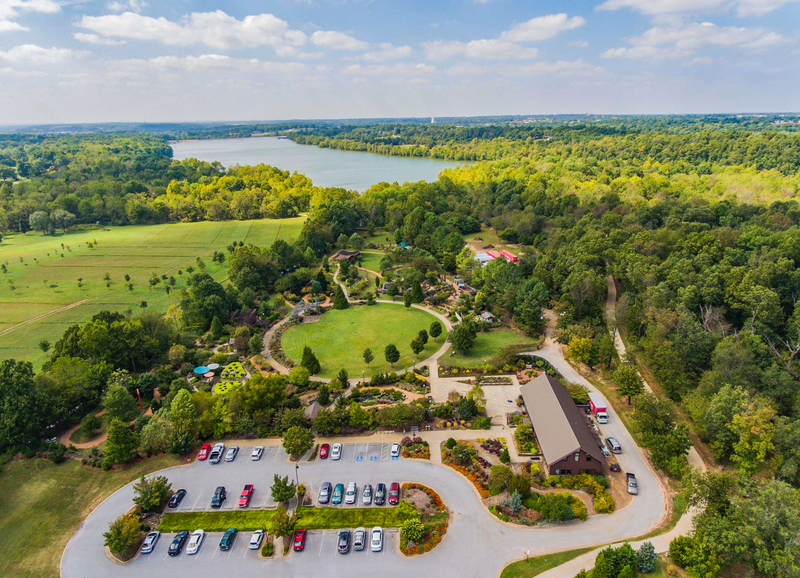 The Botanical Garden of the Ozarks regularly hosts education programs including workshops, classes, and lectures for adults in horticulture, conservation, and other topics of interest to gardeners of all skill levels and others who admire the beauty and science of the natural world. 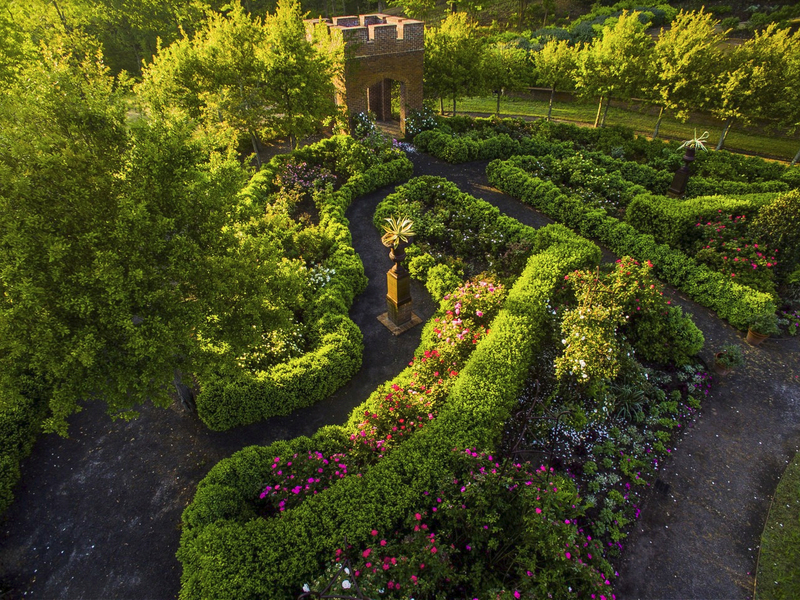 Regularly voted the “Best Place to Get Married” in Northwest Arkansas, the garden is a unique and enchanting venue for events of all kinds. Evoking a distinct sense of warmth and comfort, this restaurant is designed to be a private haven away from the world. 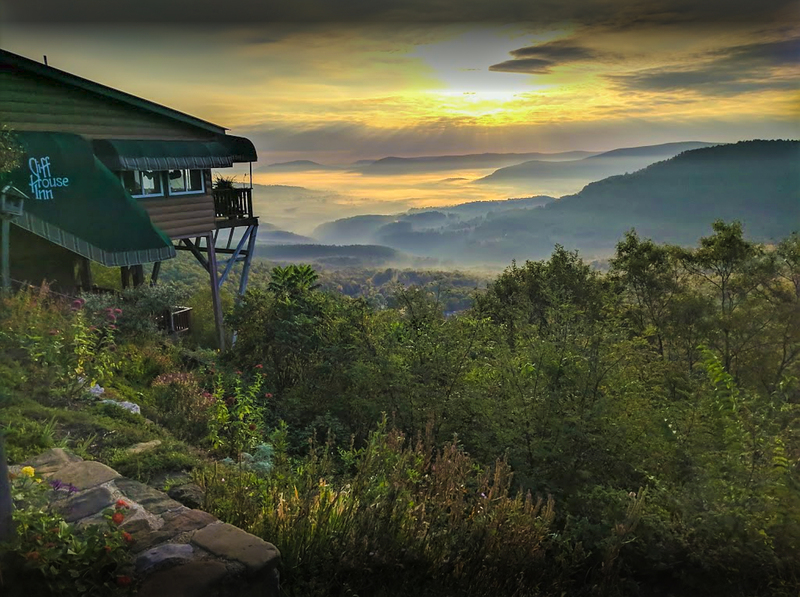 Hidden away in the countryside nearby rural Jasper, the Cliff House Inn stands in one of the most prestigious regions of Arkansas, within the foothills and ancient valleys of the Ozark Mountains. 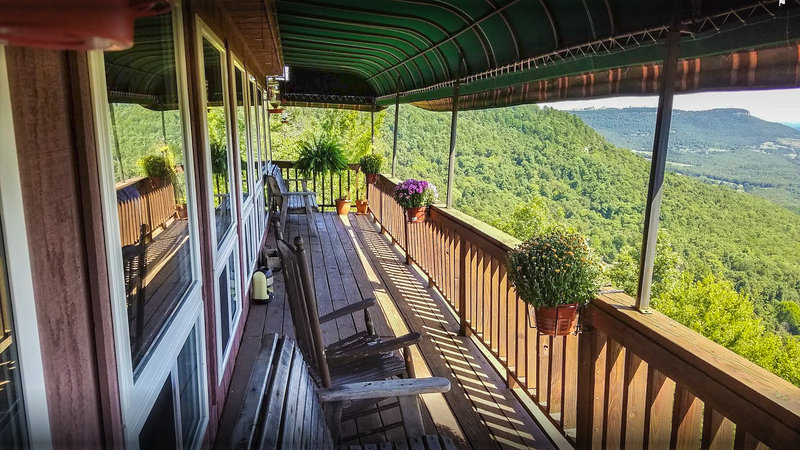 The inn, completely hidden between the towering rocks and lush vegetation, looks down on the true spectacle of the largest valley in Arkansas. 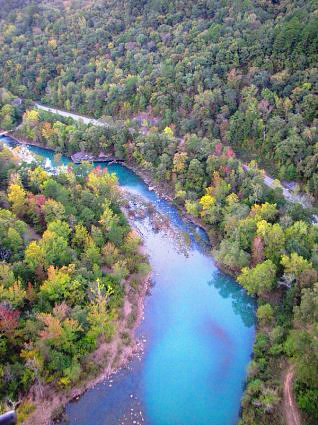 Offering the perfect balance of local flavor and tasteful luxury, revel in the unique energy and character of the Ozarks. While the large balcony offers exquisite space for dining and relaxation, enjoy the meticulous details and local flavor amidst the majestic scenery. 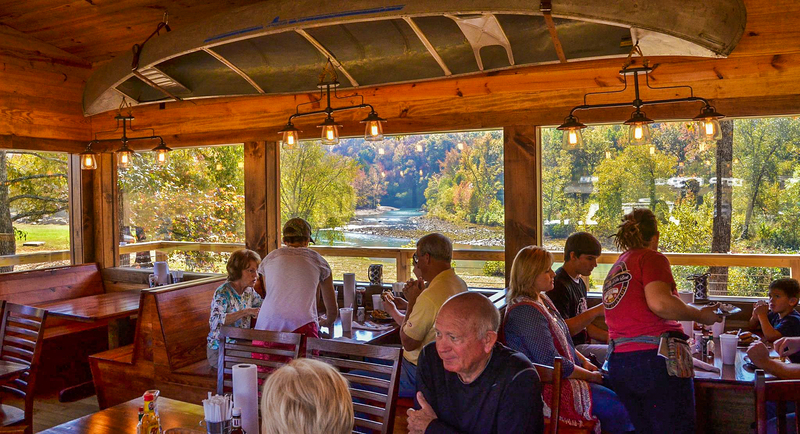 Surrounded by a lush mix of hardwood forests and mountain valleys, the restaurant offers jaw-dropping views at nearly every turn. 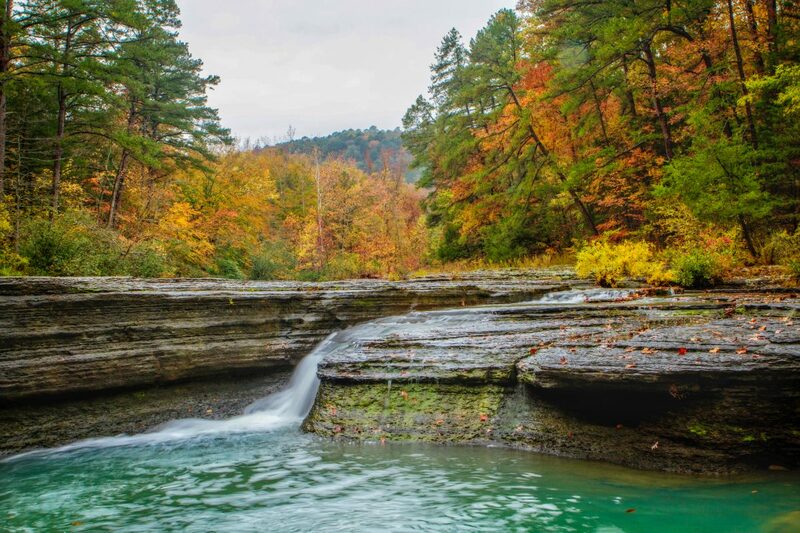 Arkansas’s namesake geology packs impressive natural wonders including the region’s largest canyon. The incredible scenic views from the deck alone make this historic treasure one of the most coveted spots in the Midwest. 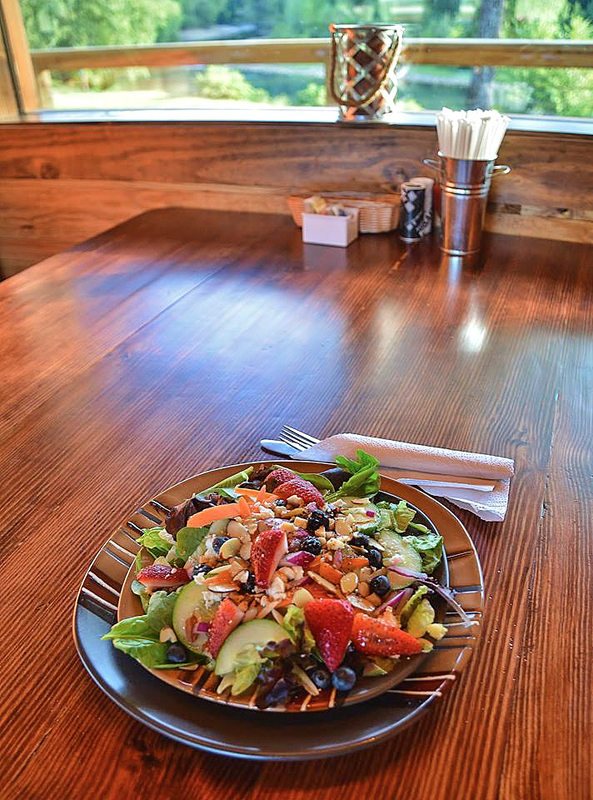 Find spectacular new takes on traditional dishes—all beautifully presented, and much of it locally sourced. The Cliff House Inn, Restaurant, and Gift Shop is open March 5th through November 18th: 8:00 am – 2:45 pm Sunday thru Thursday, and 8:00 am – 7:45 pm on Friday and Saturday. 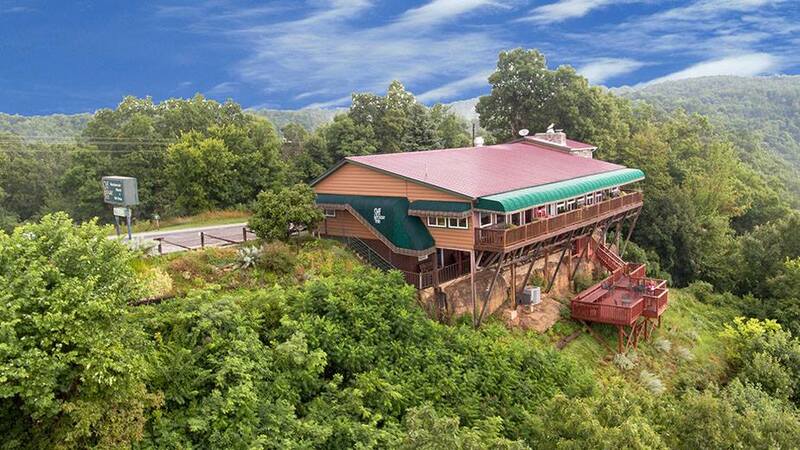 Come enjoy the calm refuge of the countryside while enjoying the breathtaking natural beauty of the Ozark Mountains. 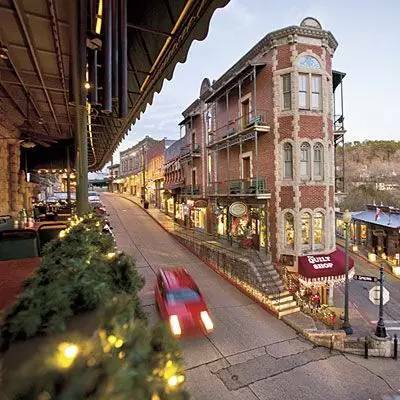 The romantic journey on this whimsical scenic railway within Northwest Arkansas—in the foothills of the Ozark Mountains, to the hill station in the historic town of Eureka Springs—offers spectators a glimpse of 1.2 million acres of pristine untouched wilderness, all from a 20th-century locomotive. 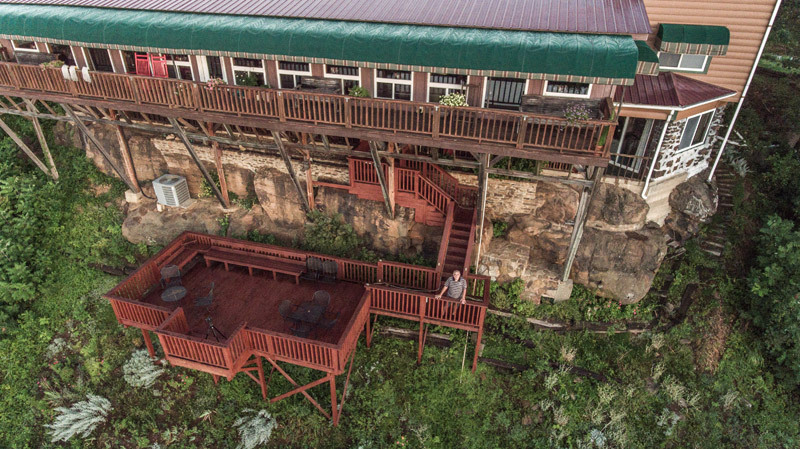 While the golden age of rail travel might seem like a reminiscence of the past, Eureka Springs & North Arkansas Railway is a reminder of what it means to experience luxury at a leisurely pace. 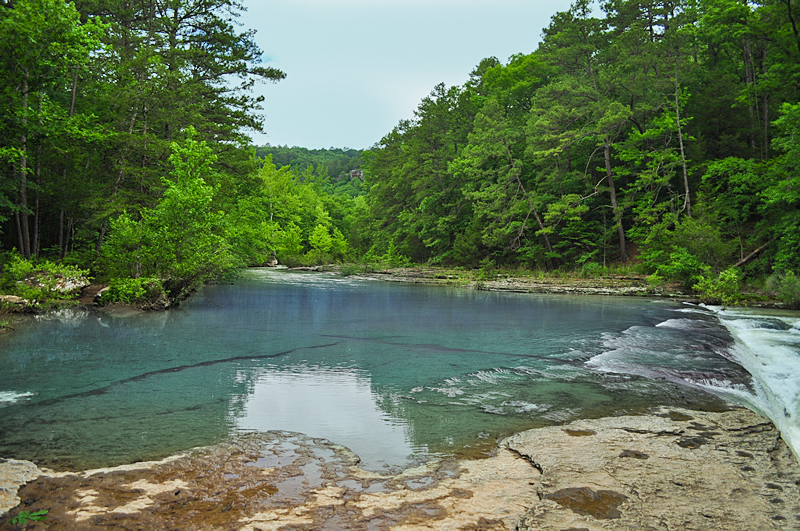 Disembark on a journey recalling the golden era of rail travel while admiring the natural beauty of Northwest Arkansas. 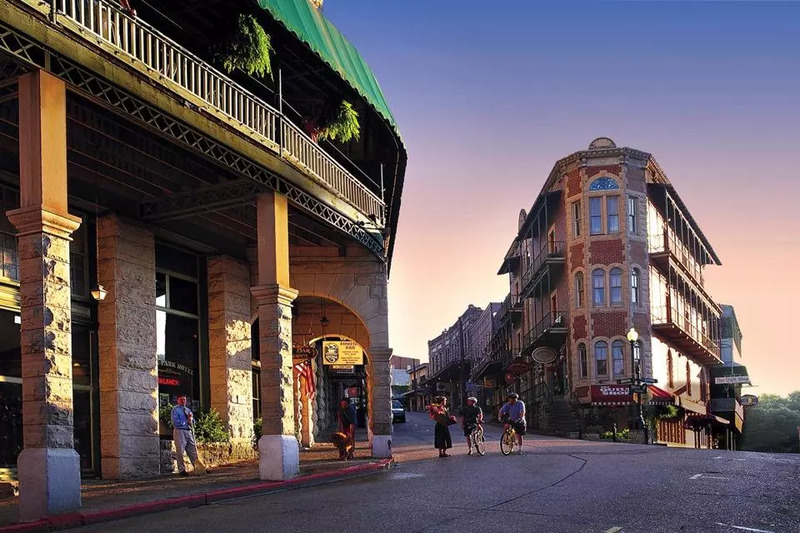 The journey begins in the charming Victorian resort village of Eureka Springs in Northwest Arkansas. Awarded “30 Most Beautiful Towns in America” by Expedia, it is a place with its own culture and lifestyle. The city is famous for its steep winding streets lined with Victorian-style cottages and manors. 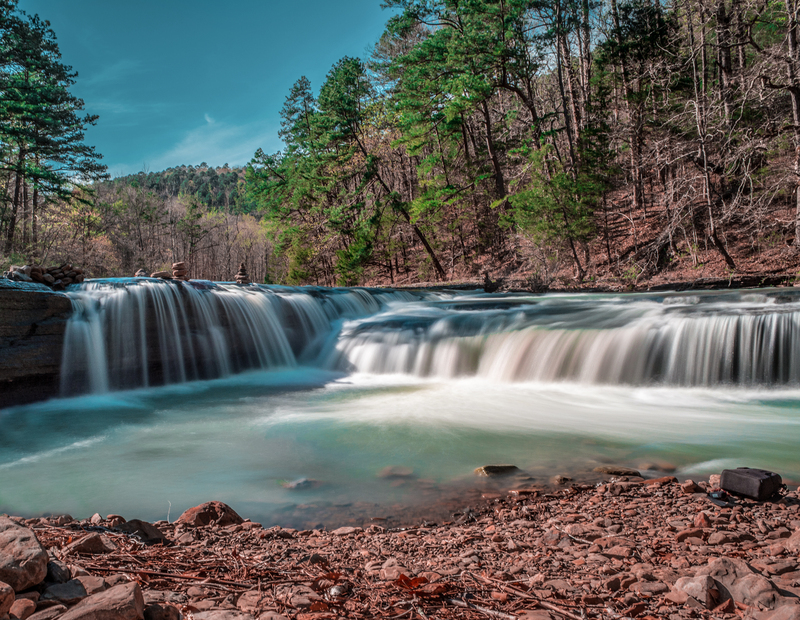 Awarded “2014 Best Small Town in Arkansas” by AAA Southern Traveler, you’ll discover specialty shops featuring local crafts, antiques, the works of local artists, and standard Ozark tourist fare. The downtown area also features various coffee shops and sidewalk cafés. More than 20 art galleries in the downtown area will keeps art lovers entranced for hours. A city-maintained trolley service provides transportation around town for those who prefer not to drive. The old commercial section of the city has an alpine character, with an extensive streetscape of well-preserved Victorian buildings, primarily constructed of local stone. 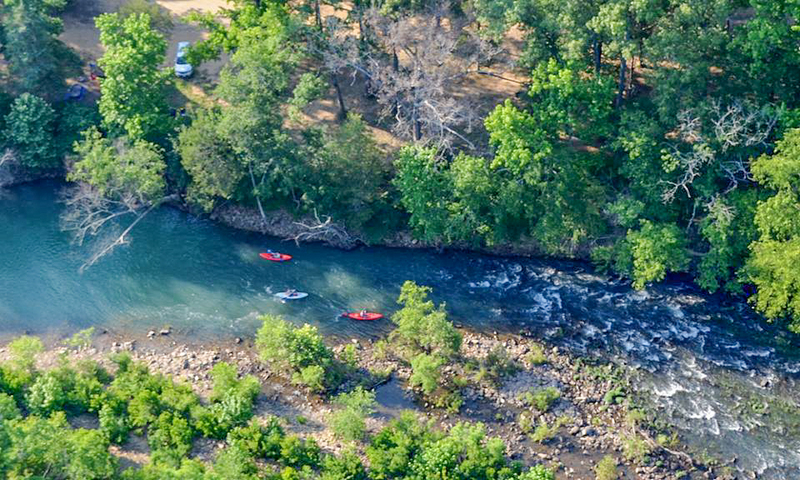 Steeped in history, the area has provided shelter to prehistoric Native American Indian tribes, solace to wealthy business tycoons, and is a haven for outdoor adventure seekers. The quaint 20th century train station promises to transport visitors back in time with its historic collection of antiquities and steam locomotives. 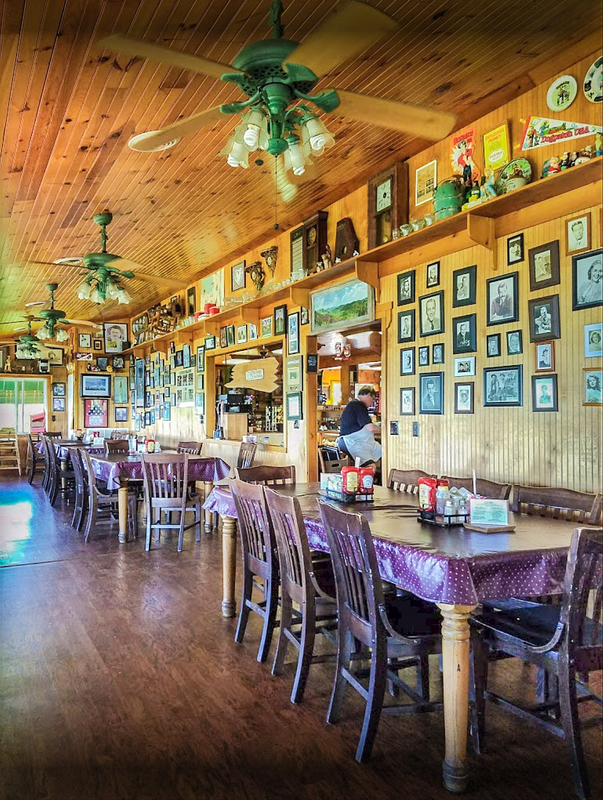 Explore the local gift shop to take home a memorable souvenir or a piece of history. 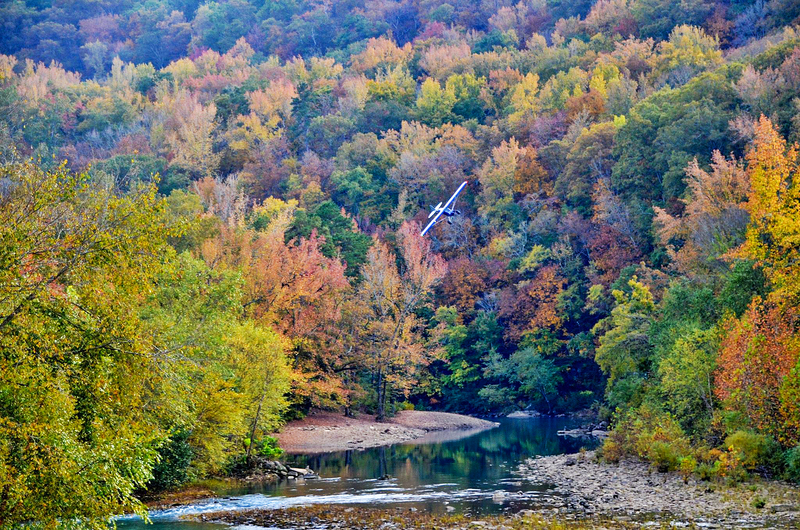 The conductor will narrate the scene as you leisurely pass through the Ozark Mountains and surrounding National Forest. It’s worth booking tickets in the train’s luxury dining car, which provides a more intimate and down-tempo experience. All entreés are accompanied by the chef’s gourmet soup and salad, fresh baked rolls, rice pilaf, mixed vegetables with hollandaise and Flaming Baked Alaska. 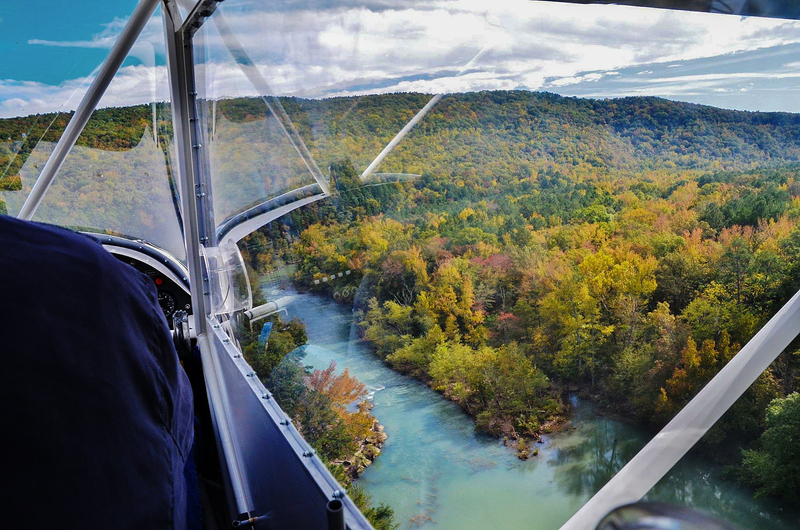 Disembark on a journey recalling the golden era of rail travel while winding through the untouched beauty of Northwest Arkansas. Ticket prices begin at only $16.00 each. Eureka Springs & North Arkansas Railway will reopen next season in 2018, make sure to book tickets ahead of time to reserve your date! If you’re looking for a holiday getaway that captures the feel of a quintessential winter wonderland, look no further than these magical Christmas light displays in the Ozarks. With amenities for the whole family—from horse-drawn wagon rides and plentiful shopping to exquisite dining and lodging—these beautiful winter festivities will create everlasting memories of a lifetime. 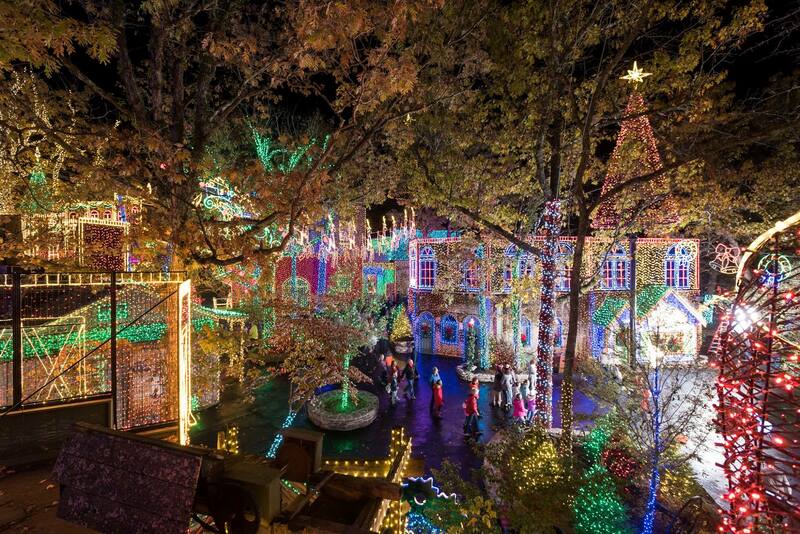 Silver Dollar City presents one of the most spectacular light displays in the United States. Totaling over 6.5 million lights, this 1800s-themed park draws more than 400,000 people to its annual holiday of lights celebration! The Christmas In Midtown Light Spectacular will surround you with awe-inspiring scenes and lighted displays on the sides and tops of buildings and even in the air as a canopy of heavenly angels fly overhead. 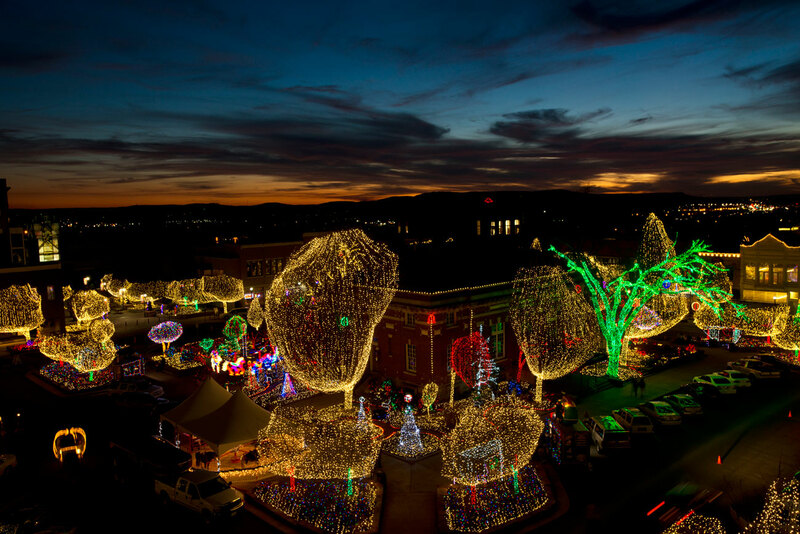 Encompassing the center of the city, from the Wilderness Blacksmith Shop to Bears At The Holler, past the corkscrew over to Valley Woodcarvers and back to Grandfather’s Mansion…you will be in awe of the single largest lighting expansion to date over the past 2 decades of the festival. 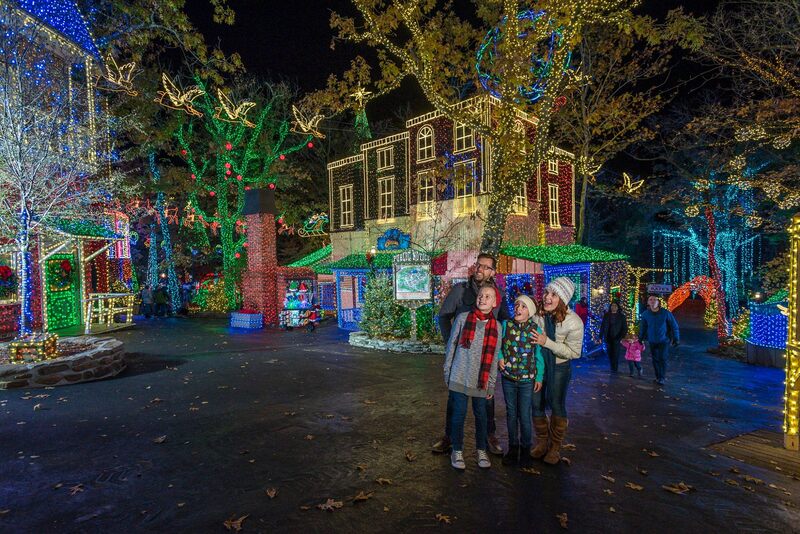 This comes in addition to all of the incredible shows, thrilling rides, and holiday shopping & dining that makes Silver Dollar City one of the world’s most awarded Christmas events! Hailed as “The Most Illuminated Park On Earth” by the Travel Channel. Voted “Best Theme Park Holiday Event” by USA Today’s 10 Best, you’ll discover the most incredible Christmas celebration with live entertainment, a total of more than 6.5 million lights, 1,000 decorated Christmas trees, two Broadway-style productions, a nightly parade, and more! Silver Dollar City is a Christmas shopper’s dream with 60 storefronts featuring unique gifts and one-of-a-kind treasures for everyone on your list. And once the shopping is done, it is the only place where you and your family can stay and play for the rest of the day! 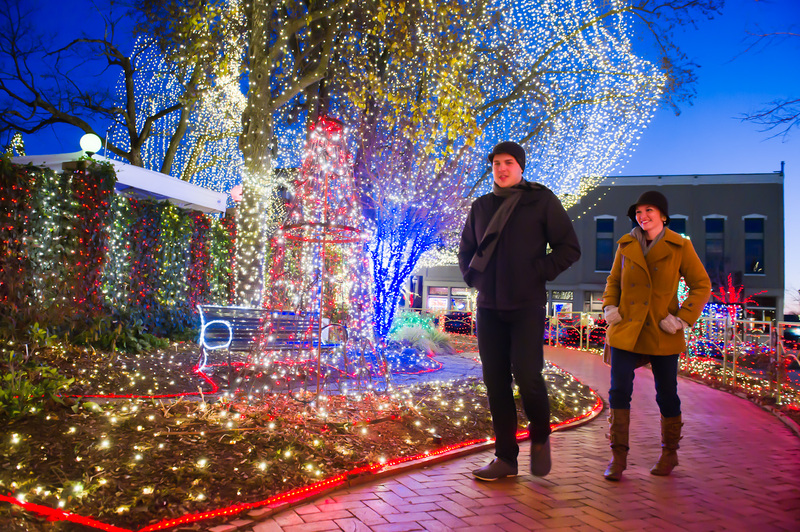 The Lights of the Ozarks celebrates 20 years of holiday cheer. For a classic winter treat, grab your coat and don your mittens for a horse-drawn carriage ride through town while listening to traditional holiday tunes. 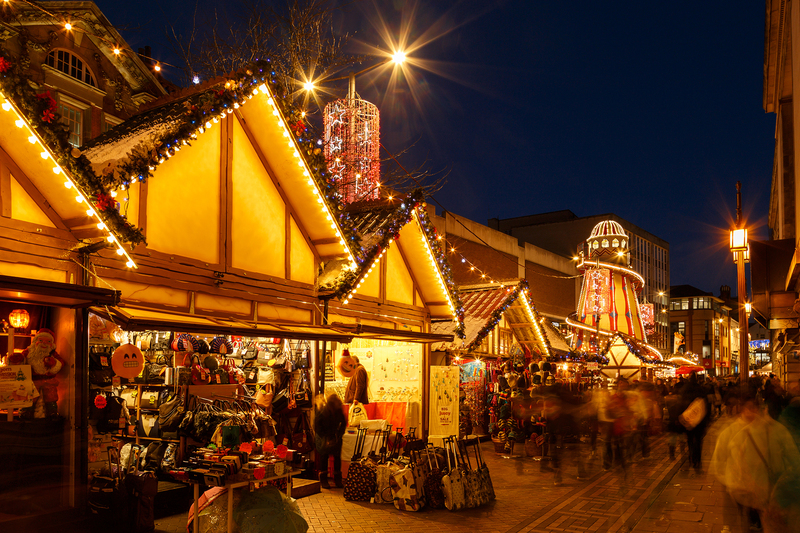 Warm up with fresh hot chocolate and explore the spectacular display of a half-million twinkling lights! 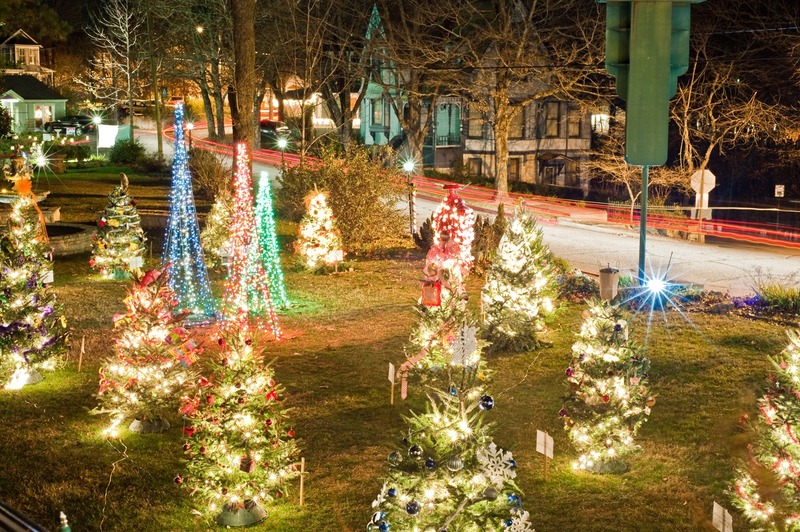 This holiday celebration of lights in Fayetteville begins on the Saturday before Thanksgiving, and concludes on New Year’s Eve. More than 30 trees will adorn the holiday focal point of the Crescent Hotel’s nearly 15 acres. An event to raise money for local charities, the annual Christmas Forest Lighting Ceremony is a community wide decoration event that allows votes/collections with all money raised going directly to the charity. The top three nominees receive an additional bonus from the Crescent and Basin Park Family. Home to the famous outdoor theatre, the 160-acre Shepherd of the Hills Homestead transforms into a holiday paradise, complete with a 230-foot-tall Christmas tree (otherwise known as the Inspiration Tower). Rated by the Travel Channel as one of the “top five drive through Christmas displays in the U.S.”, the Trail of Lights features a series of story-telling animated characters surrounded with millions of Christmas lights. 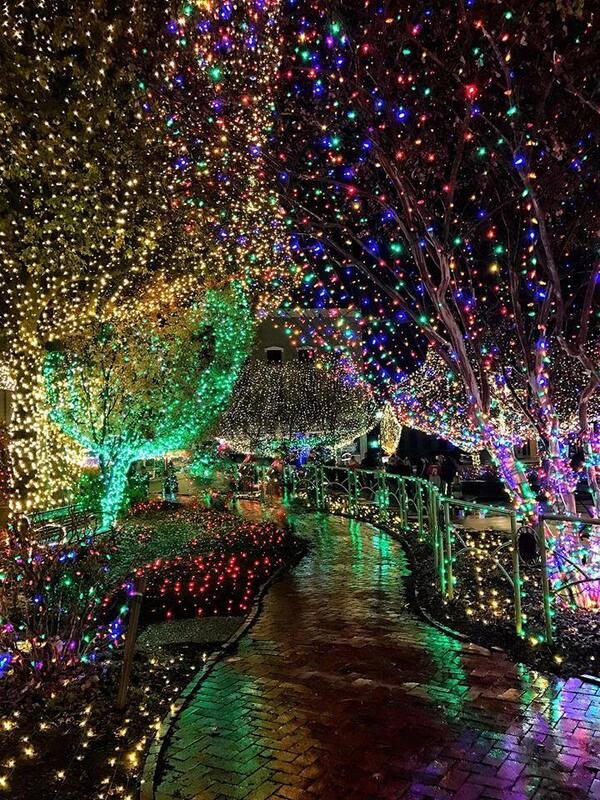 Branson’s Promised Land Zoo is home to the area’s longest drive-through light display. Drive through a two-mile display of twinkling lights and displays. See Santa and real live reindeer on display and available for photos nightly. Explore the Christmas Village with Living Nativity Petting Zoo, Christmas movies, and a fully-stocked Gift Shop! Each admission includes many wonderful activities, but if you are looking to get closer to the animals and the Christmas Spirit, you should opt for all new Santa’s Safari VIP Tour where one of Santa’s helpers will take you on a guided tour through the lights and the animals! You will even have VIP+ encounters with sloths, lemurs, kittens, and owls available for those who want to experience even more! The Zoo is also home to the region’s only live reindeer herd, giving patrons the opportunity to pet, feed, and take photos with the Sven, Rudolph, Prancer, and more! Nominated as a contender on ABC’s “The Great Christmas Light Flight”, this drive-through light display in Springfield is a must-see! Set your radio to 105.5 FM. and enjoy the show as the music syncs with the twinkling light display! Located in south Springfield’s Brentwood neighborhood, the lights will be displayed throughout the winter season (check their Facebook page for more information regarding display hours and directions). The Bagwell display is very popular, so be prepared for a crowd on weekend nights. Lines tend to form, so in past years Bagwell has asked light-peepers to turn around at Field Elementary, on Luster Avenue near Barataria Street. This keeps traffic from backing up onto Battlefield Road. Be a polite driver; the car turning in front of you may be a resident of the neighborhood. Keep in mind: If it’s rainy out, the inflatables and the train may be turned off for electrical safety. 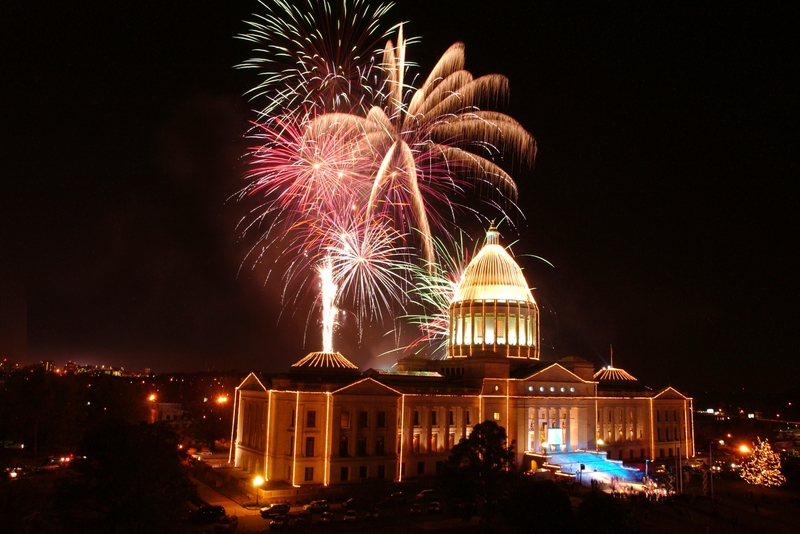 Following the Big Jingle Jubilee Holiday Parade (Dec. 2 at 3 p.m.) in downtown Little Rock, the State Capitol will be illuminated in its annual holiday display at 6 p.m. Santa Claus will help lead the festivities, which include fireworks, music, and children’s activities. And don’t forget to take in the magnificent Rockefeller pine tree and elegant decorations in the Capitol building’s rotunda.